Prepare to finish off your bedroom’s look with our Sydney Dresser. Functional, stylish, and 100% eco-friendly, this dresser takes wood furniture to an entirely new level. 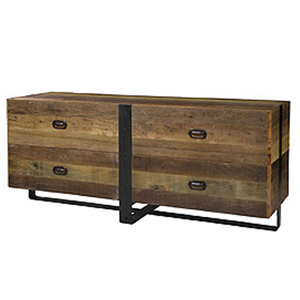 Handcrafted out of exotic demolition hardwoods, no two Sydney dressers look exactly alike. 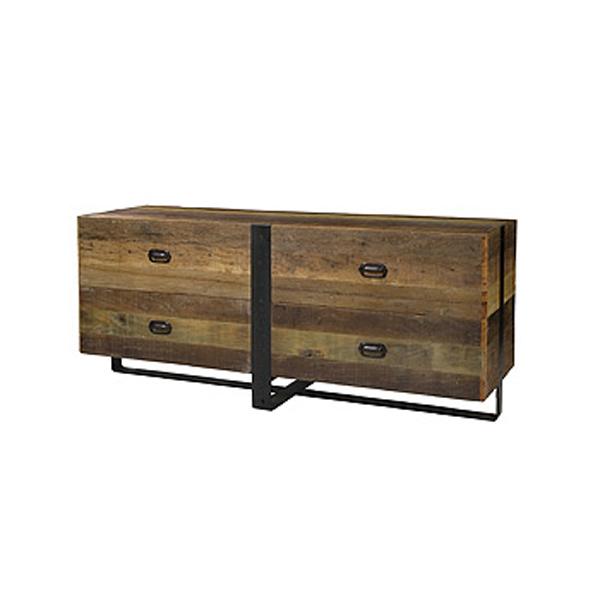 Its beautiful front is accented with black walnut drawer pulls on each of its four large drawers. Its legs are made in a criss-cross design, giving it a unique “floating effect. Perfect for matching most of our Asian furniture line, this dresser will become a fixture in your bedroom.